Find new fiction authors and suggested titles. Browse theme-oriented book lists and awards lists, find author read-alikes and get a list of series in order. Type in an author's name and find like authors. The names that float closest to your author are the most similar. Looking for a good read? 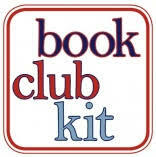 Browse Book Club Kit titles for ideas. Find the list here.